Me and the new market totes. My days at work have been crazy, and my time at home almost entirely consumed by sewing. My aunt (mom’s sister) was diagnosed with pancreatic cancer this week. My 4-year-old nephew has asked for a new crochet dragon as a companion for the one I made him for Christmas. I’m behind on my Directed Study this semester. Mica’s school play opened this week. And my mind is just like that – from one thing to the next without the time to synthesize it into some grand statement about life and creativity and happiness. I am meditating a lot, and I’ve started walking (6 km) to work on the mornings without rain or snow. I would like to lose some weight as illness gave me too many excuses for sluggishness. Despite that I’m feeling pretty good these days. For the next several posts I will only be blogging pictures of what I am working on including the start of my 100-block project. This is the first of the pictures – new market totes! 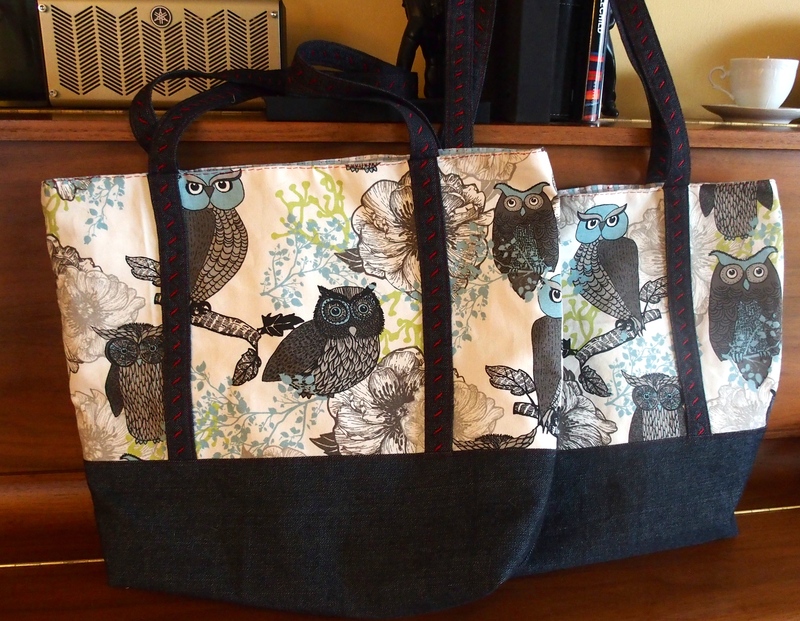 Our old totes were getting a bit shabby and then I ran into this wonderful owl canvas at Spool of Thread. Matched up with some denim in my stash they make for delightful and sturdy carry-alls. 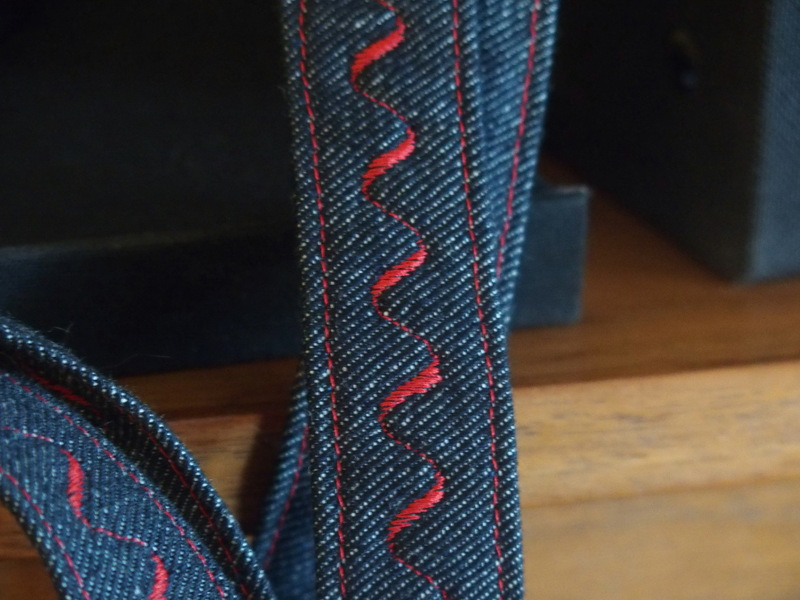 A little extra detail on the handles too – love those fancy stitches! ← More new sewing – Cooper Messenger Bag. I think you need to call them Carry-OWLS.